Mothering Sunday takes place on March 31st, and while that may seem a little way off yet, time flies and before you know it it’ll be here – so it’s best to be prepared and make sure you’ve got everything sorted to make Mom feel that extra bit special. Why not treat Mom to a bit of pampering at Cloud9 Beauty Rooms? There’s a wide range of beauty treatments from manicures and pedicures to massages to choose from, and let’s face it – Mom deserves being spoilt! If you can’t decide what mum would like then how about a gift voucher? That way she can buy gorgeous products for herself or she can be pampered by Helen and the girls. Abbey Mill Coffee Shop have some gorgeous treats, including afternoon tea with the most delicious cakes to die for, and don’t get me started on the hot chocolate. They also do gift vouchers – perfect for a mid-week treat if Mom’s busy on Sunday. You wouldn’t let your Mom cook on Mother’s Day would you? Of course not, so book a table at The White Hart in Bouth for a delicious Sunday roast? They have a fantastic menu, something for all tastes, made with the finest local ingredients. All Mom’s work hard, so why not give herthe chance to rest and buy her an angel? An Angela’s Angel to be precise. Your mum deserves a break, so why not book a house clean or arrange for one of Angela’s Ironing Angels to pop round and pick up the ironing – she will love you for it! The Coronation Hall has a fantastic array of shows and productions taking place throughout the year, so why not treat Mom to a show? With everything from concerts, comedy, plays and events all year round, there’s bound to be something to suit. For a great night out you won’t get better value for money than a night at the bingo! Apollo Bingo always have plenty of fantastic offers and promotions for a great day out, including their Mother’s Day afternoon. For just £10 you get your paper bingo, entertainment a free lunch and a free gift! Barrow Market Hall has plenty of wonderful stalls for you to browse, looking for the perfect Mother’s Day gift. From thoughtful cards to jewellery, sweet treats to personalised gifts – you’re sure to find exactly the right present for Mom. If you’re looking for something different, then head over to Bumblebee at The Hive on Scott Street. A warm welcome awaits you as you enter this treasure trove of a shop, filled with beautiful shabby-chic home décor and restored and re-loved furniture, beautiful gifts, stylish accessories and vintage homeware. 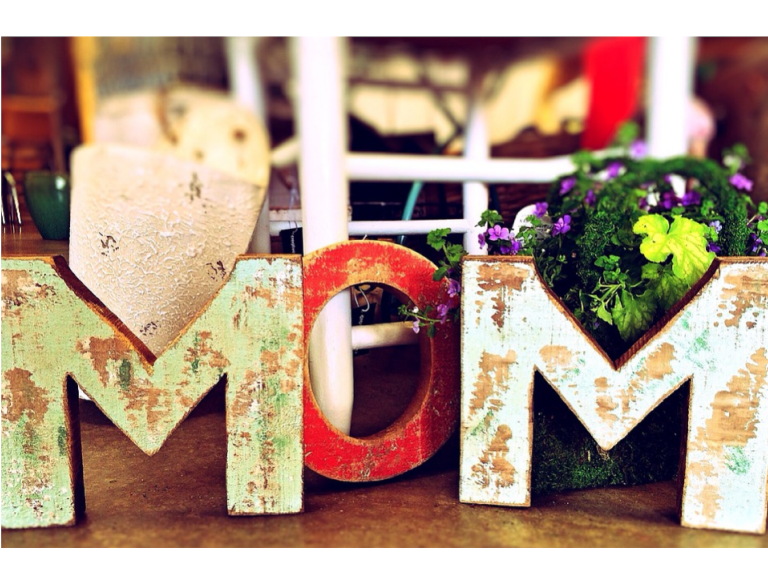 And why not treat Mom to a class at Boogie Bounce? There are several to choose from. Regardless of your age, shape, size or fitness ability, Boogie Bounce, helps you get fit, in a fun and interactive way, with supportive, like- minded people. Mom will love it!! There are lots of great places to shop and things to do in Barrow and Furness, so Buy Local and make sure you spoil Mom this Mother’s Day.